We all like munching on something small and not too filling in between meals. Nomba fits the bill for these moments. 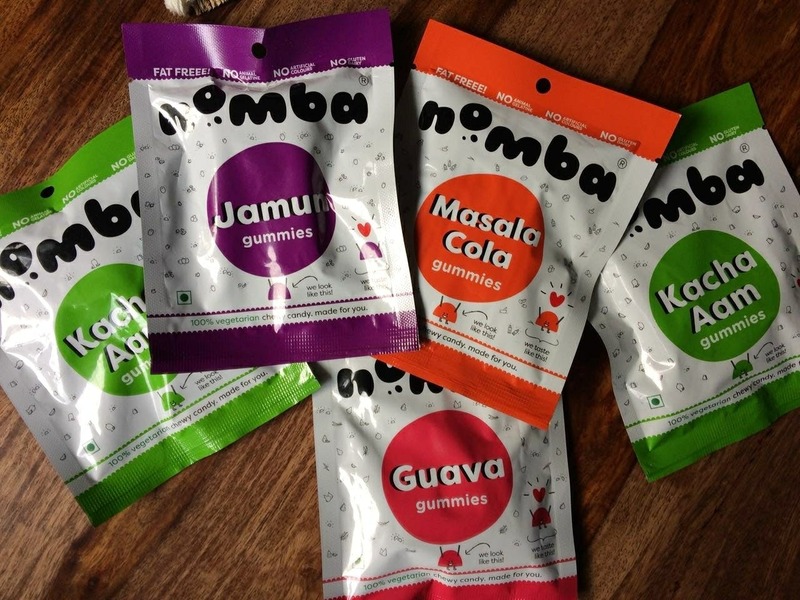 They've launched a bunch of flavours: Kaccha Aam, Masala Cola, Jamun, and Guava. Each flavour is infused with an Indian spice which makes it not just sweet but tangy and a tad spicy. Think along the lines of Pulse. These chewy tid bits are 100% vegetarian and free of gluten, fatty additives, artificial colours and animal gelatine. As healthy as candy can get, tbh. A small packet comes for INR 49.